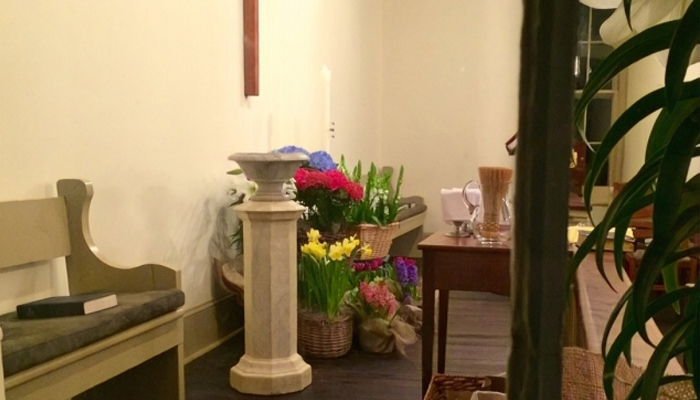 At St. Philip’s our motto is “Everyone is welcome, and we really mean it.” That’s especially true at Easter. Whether you’re seeking to join a congregation, looking to attend a traditional Easter Day service, or simply curious about our many activities during Holy Week, you’re welcome here. At our church, everyone is invited to receive Communion (though you’re just as welcome to sit it out if you like). Our priest will invite you to the altar: At St. Philip’s, we take the bread in our hand and eat it, then take the cup from the server’s hand and drink from it. Those who wish to receive only bread are welcome to do that.